Muslim girls study by candlelight Monday inside a madrasa, or religious school, in Noida, on the outskirts of New Delhi. Three regional power grids collapsed, causing a massive power outage that blacked out more than half of India. An electric power station on the outskirts of Jammu. 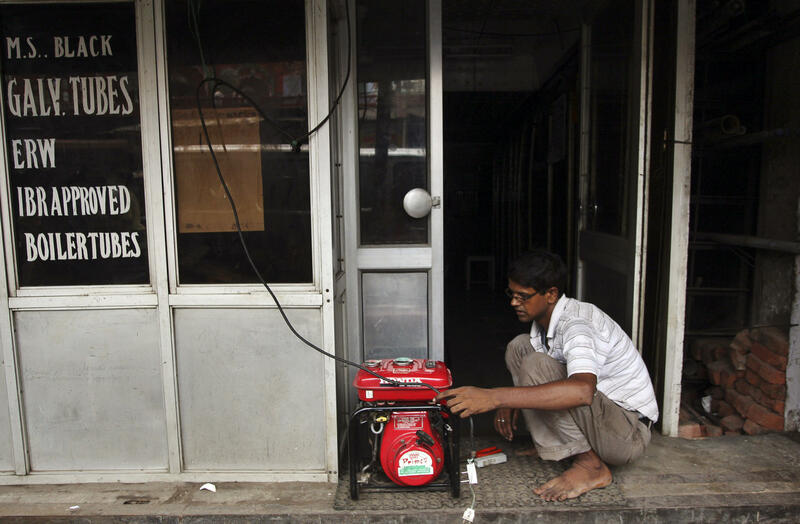 Experts say demand for power outstrips supply in India. The power outage snarled traffic. 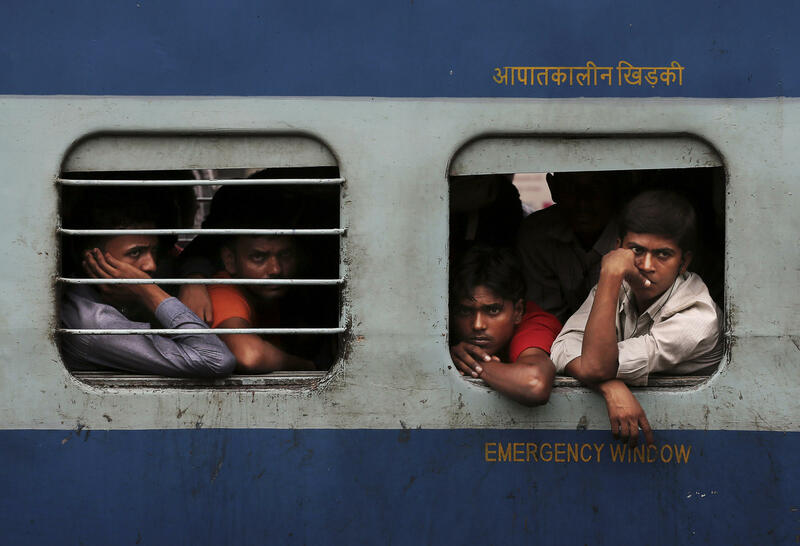 Trains across eight northern Indian states and metro services in New Delhi were affected by the power outage. A shopkeeper fixes an electric generator at his shop in New Delhi. Passengers wait for train service to resume after a power outage in New Delhi. 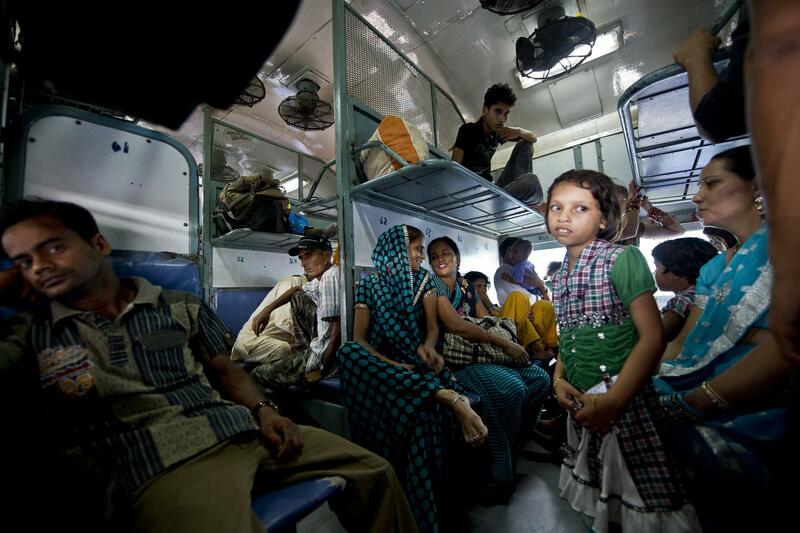 Indian officials say they are rapidly restoring power, but it's unclear how soon the situation will be back to normal. Passengers wait on a train during the power outage in New Delhi on Tuesday. The crisis affected an estimated 670 million people. 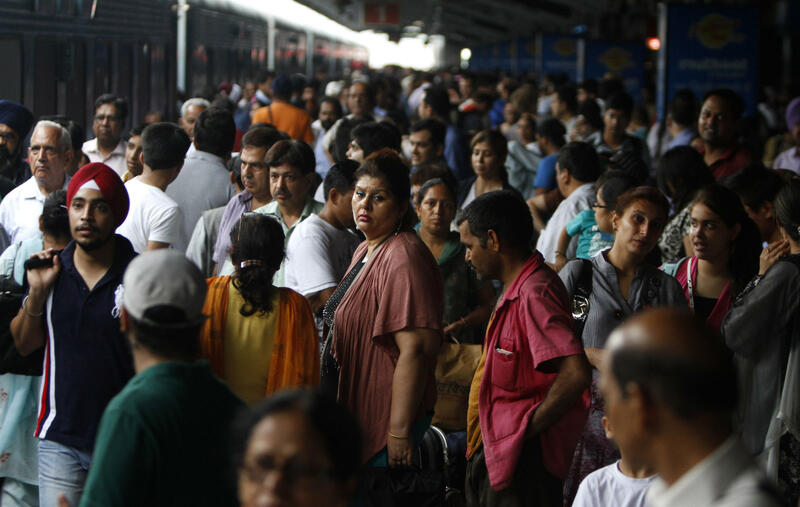 "In India, the power [demand] so far outstrips the supply locally and building new infrastructure is a huge issue," says Anjan Bose, an electrical engineering professor and power grid expert at Washington State University. "The problem has gotten more acute in terms of building enough supply. The transmission has generally kept up, but the building of new power plants has not," he says. Regular localized outages, known as load shedding, are common throughout India, as power grid controllers are forced to make cuts to keep the system in balance. As a result, many businesses, hospitals and airports use generators to make up the temporary shortfalls. Massoud Amin, a senior member of the Institute of Electrical and Electronics Engineers and professor of electrical engineering at the University of Minnesota, has studied India's power system firsthand. 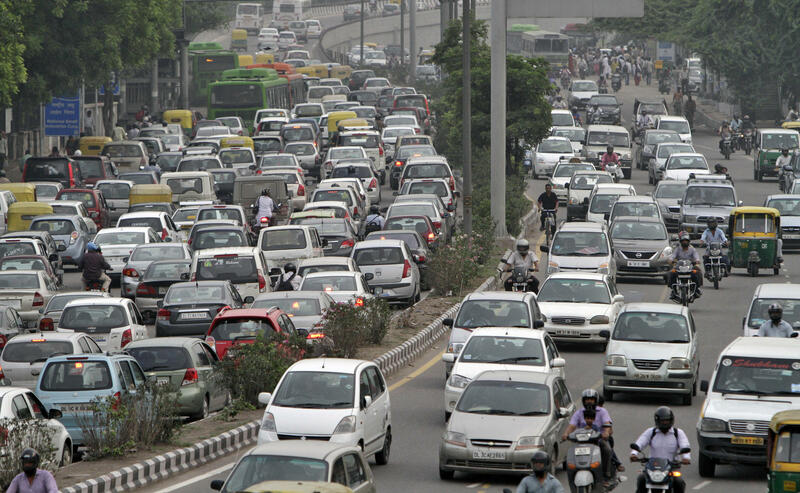 "In a big city like Bangalore, you have a half-hour to 45 minutes of load shedding every day," he says. 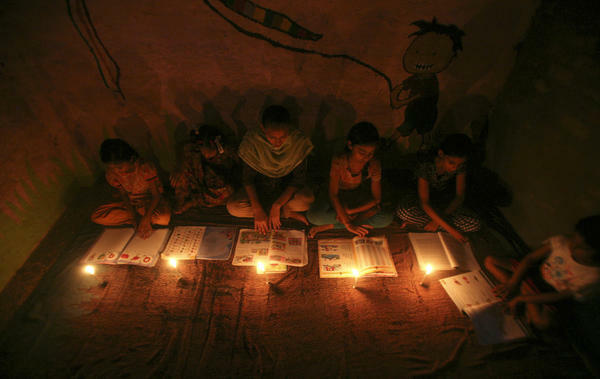 The problem comes even though 40 percent of residences in India have no electricity at all, according to the World Bank. A big part of the inability to keep up with demand is the massive losses experienced in India's transmission and distribution network as a result of illegal connections, Amin says. "You walk down the street and it's like a bowl of spaghetti," he says, referring to the mass of wires on electrical poles that result when the illicit drops are installed. "Sometimes residents and businesses will bribe a local technician to climb up and install a wire. Sometimes they'll go up and do it themselves." 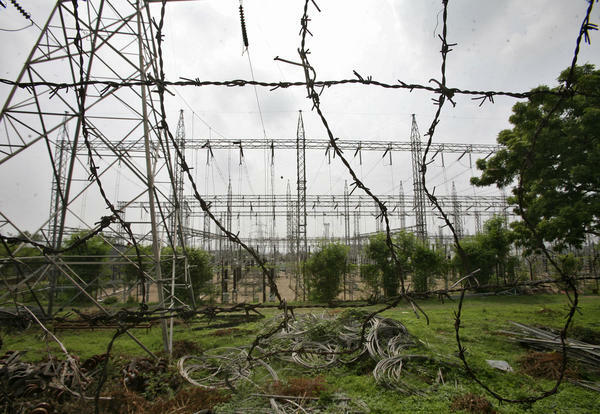 In some Indian states, the power losses on high-voltage transmission lines are as high as 50 percent because of the theft, Amin says. This year, the supply problem is made worse by a weak monsoon that has robbed hydroelectric generators –- which supply a quarter of the country's electricity — of the water they need to work at full capacity, he says. So if the system was already stressed from having to redirect lots of power from one place to another to match supply and demand, it wouldn't necessarily having taken much to trigger such a widespread outage. "Control of the electricity grid is very different than for telephone or transportation, for example," Amin says. "From an engineering perspective, a small change can produce a big problem," he says. Although Indian officials have raved about the country's grid, Amin thinks it has a long way to go. For example, India needs better control systems to be able to rapidly change the resistance of its transmission lines, technology that has not been widely used in India. Fixing those problems will take large amounts of investment and a crackdown on power theft, two things that are difficult to square with one another, he says. "Right now, India is highly reliant on coal-fired generation but the quality of its domestic coal production is poor and it relies heavily on imports," says Candace Dunn, an industry expert at the U.S. Energy Information Administration. "They are trying to ramp up on gas generation," she says. "Domestic and international investment would help, but how long that might take is anyone's guess."